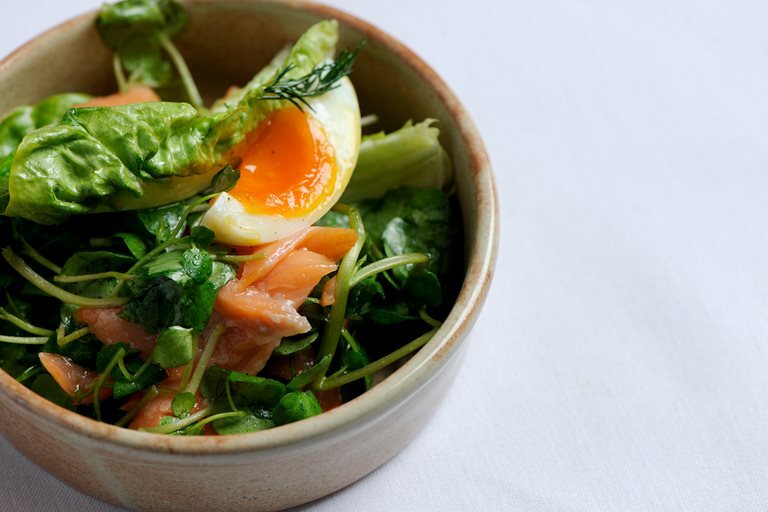 This light, healthy salmon fillet recipe from Tom Aikens is best served on a summer's evening with a glass of dry white wine - you should have some left over after using some to poach the salmon. The brilliance of this fish recipe is the poaching liquid, which contains Pernod, white wine and sprigs of lemon thyme and dill. Tom Aikens is one of the most creative and talented chefs Britain has ever seen, with a restaurant empire to match.